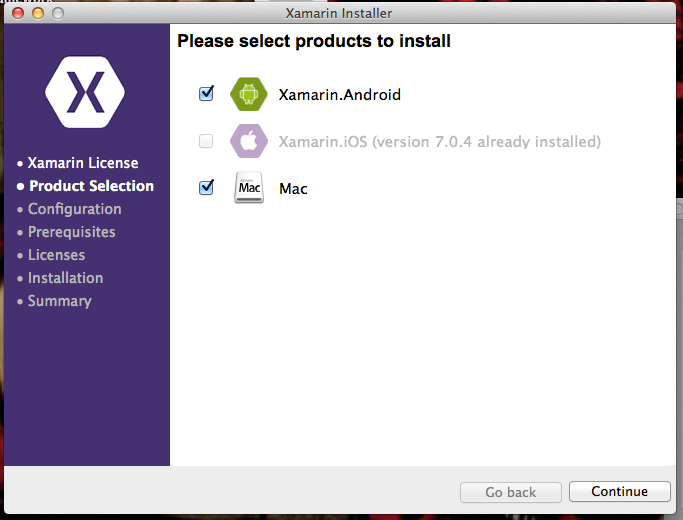 How to cleanly uninstall xamarin studio? Locations of user data are documented here (replace "MonoDevelop" with "XamarinStudio"). i'm trying to uninstall and reinstall.... i want a clean reinstall... but i'm getting this screen on my reinstall, so it looks like i missed some files of setting somewhere... where can i find a list of all files Xamarin installs so i can delete them, and get rid of this frustrating problem. Suggestion Xamarin.... please add functionality to have a single button clean uninstall. i'm wasting valuable development time. thanks. so after rebooting, install is running but i get the same screen as above... taking a break. This is not a 100% complete list but should cover most of the locations that the installer installs things. @mhutch, can you provide a complete list? Or better yet, please provide a proper uninstaller. Xamarin Studio is putting files all over the filesystem in places that they don't belong — cleanly uninstalling Xamarin Studio and it's dependencies at this point basically means reinstalling OS X on this machine.